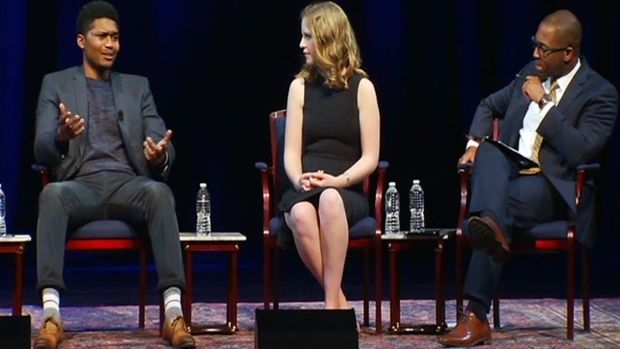 Decision 2016: Vote Your Power is a pre-election millennial panel on the presidential election,. It's happening Nov. 1 from 7 to 9 p.m. at Lisner Auditorium, The George Washington University. And it's free to attend! Interested participants should RSVP online. On Tuesday night, a for-millennials, by-millennials nonpartisan event got young people talking about the issues that matter to them and why their vote counts. In partnership with DMVFollowers, Brightest Young Things and Rock the Vote, NBC4 hosted Decision 2016: Vote Your Power at Lisner Auditorium at The George Washington University. During this panel discussion, the next generation's leaders facilitated a discussion on issues important to young people in the upcoming presidential election. 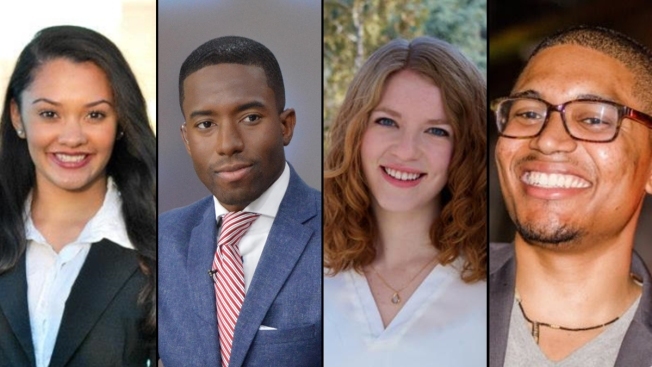 This free, nonpartisan event was the brainchild of NBC Washington social media editor Brittany Johnson, and was geared toward getting millennials to talk politics and to get out to vote on Tuesday, Nov. 8. The panel included Shermichael Singleton, owner of political consulting firm Singleton Strategies; KellyAnn Kirkpatrick, who works for Clearly Innovative, a black-owned mobile solutions firm; Kathleen Hunt, a senior at The George Washington University, and Darius Baxter, co-founder of GoodPartners, an organization bringing opportunities to disadvantaged communities. "Vote Your Power," a for-millennials, by-millennials nonpartisan voting event, aimed to get young people talking about the issues that matter to them and why their vote counts. See the full discussion here. NBC4's Aaron Gilchrist moderated the event.